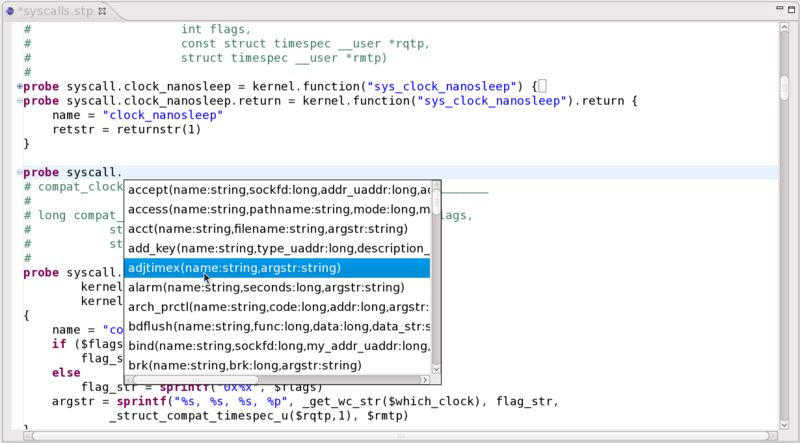 The Linux Tools SystemTap editor plugin adds SystemTap script editing support to Eclipse. The editor includes completion, syntax highlighting, partition support and code folding. Please use our update site as described here. From there, run the plugins as an Eclipse Application.